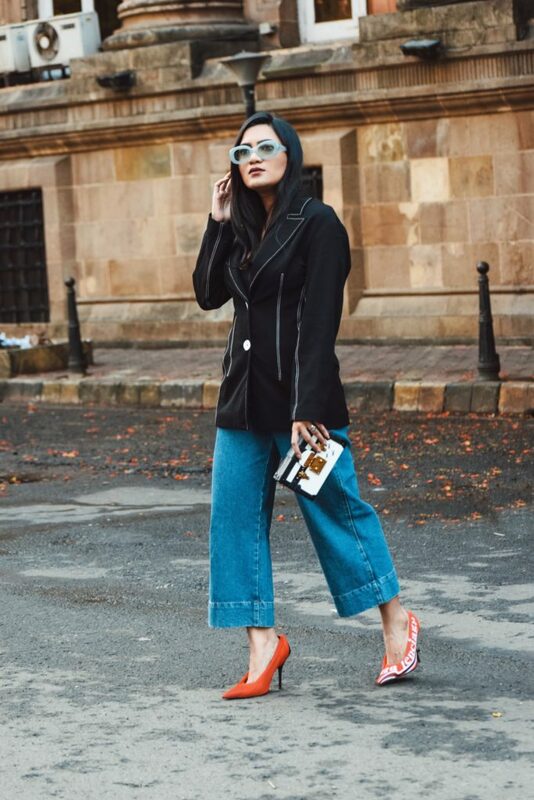 This month I have been speaking majorly about key wardrobe pieces, trend-proof classics and if there is one piece of clothing which has been constantly evolving and has never gone out of style is denims or jeans. 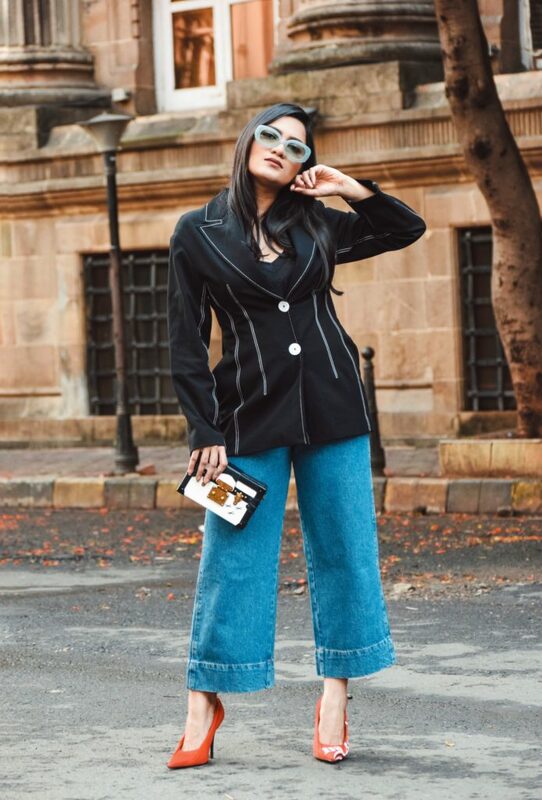 Be it the bell bottoms, culottes, buttoned dresses or jackets; at any given moment you are bound to find denim variants of on-trend styles. 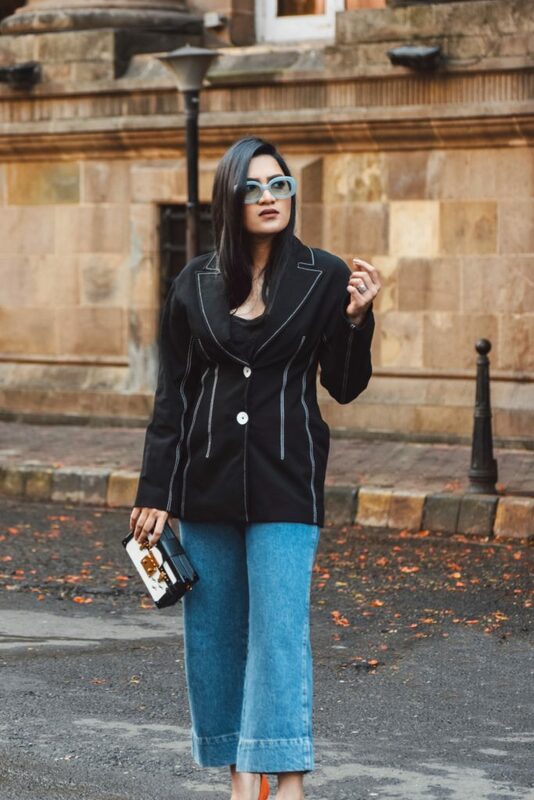 Culottes are something which have been around for quite some time now and show no signs of fading away. 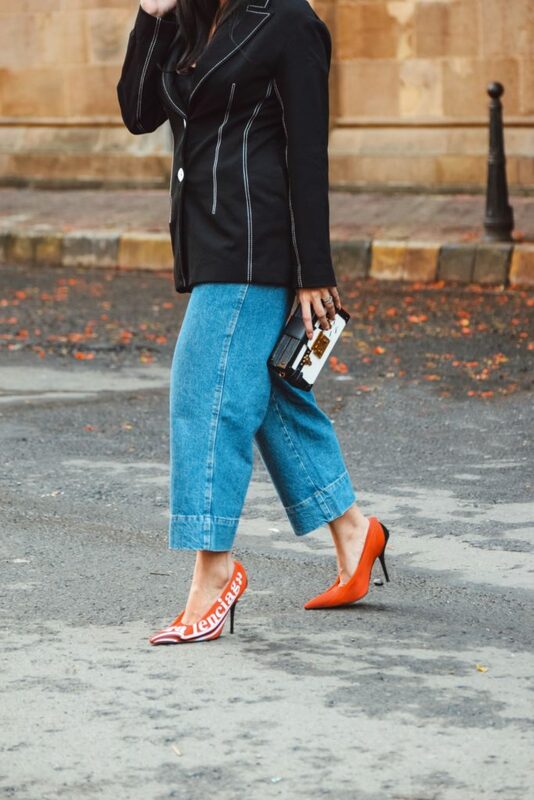 Hence a denim iteration of this style is certainly a smart investment. 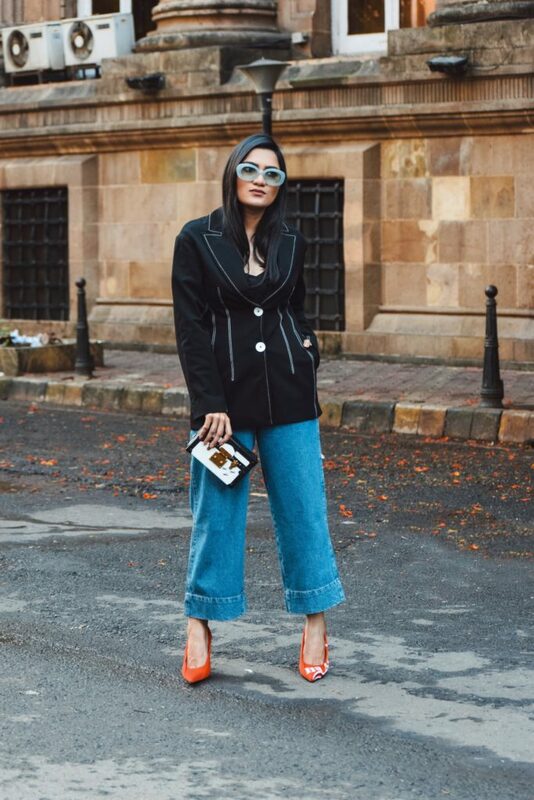 Pairing it with a denim jacket with on trend button and contrasting details I completed my look with minimalistic accessories and a pop of red.